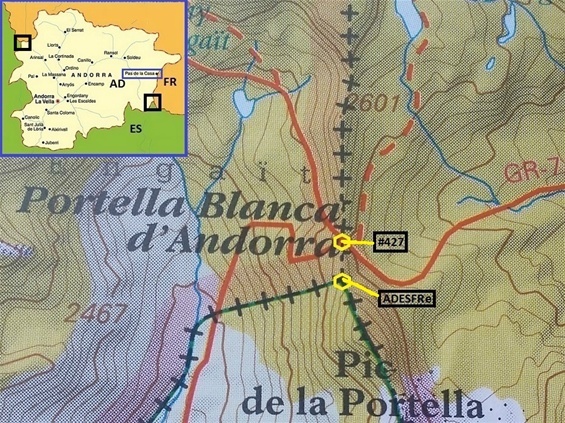 In August 2016, members of the IBRG made a trip to the place where Andorra [AD], France [FR] and Spain [ES] meet, or, for short, to the ADESFRe tripoint. The ‘e’ following the country codes stands for ‘eastern’, since there is also a western Andorran-French-Spanish tripoint: ADESFRw. 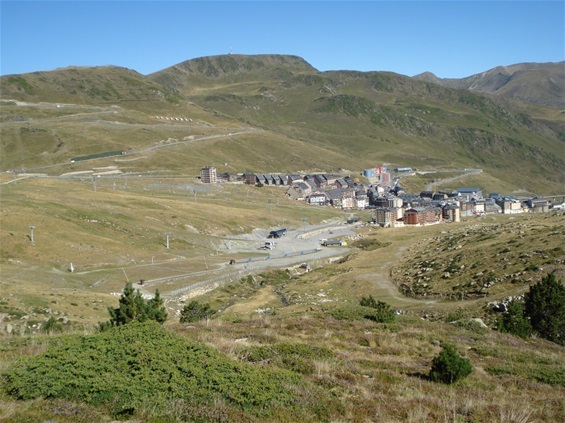 We parked our car in the Andorran border town of Pas de la Casa and crossed the French border on foot. Our hike southwards went through French territory, taking a little bit longer route east of the well-marked route between Pas de la Casa and the 'black lake', Estany Negre de les Passaderes. 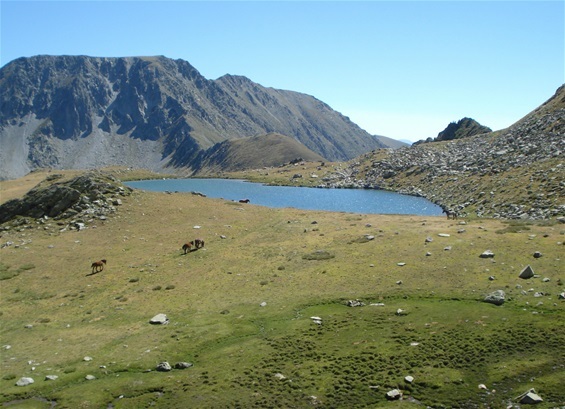 Another three hours later we could see the tripoint area of Portella Blanca behind the lake. Andorran border demarcation has been in progress for a long time, but the exact location of ADESFRe is still somewhat unclear. 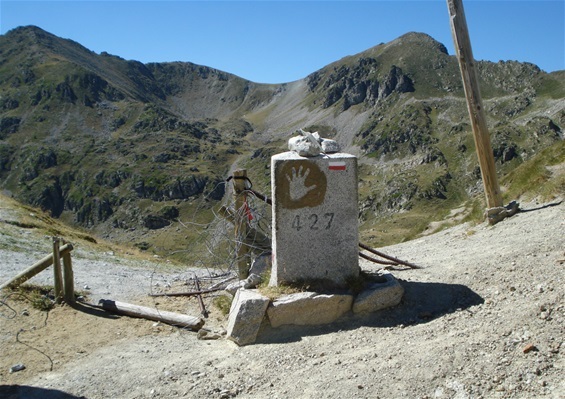 According to some sources and maps, border marker #427 constitutes the tripoint marker. 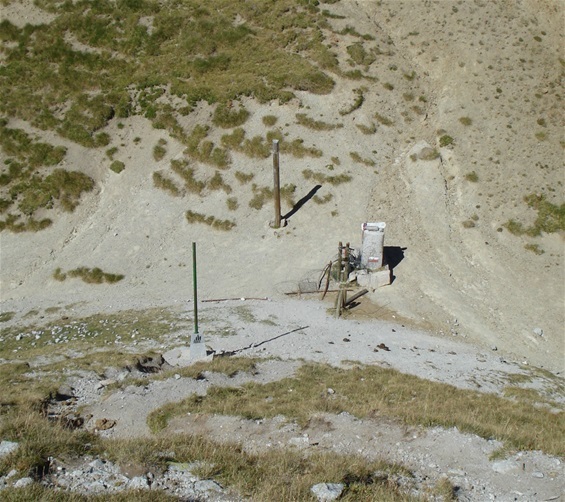 However, according to other sources and maps [for example the map above], the location of the tripoint is in fact positioned about 220 metres south of border marker #427. More precisely, on the 'saddle' between Portella Blanca and Pic de la Portella. Having successfully accomplished our mission, we managed to get back to Pas de la Casa [and our car] along the shorter route in less than three hours. For “Tripoint spotting – a personal diary”, a website that summarises my [successful as well as attempted] visits to 39 international tripoints and/or tripoint areas in Europe and in Asia in the period of 1988-2013, click here. 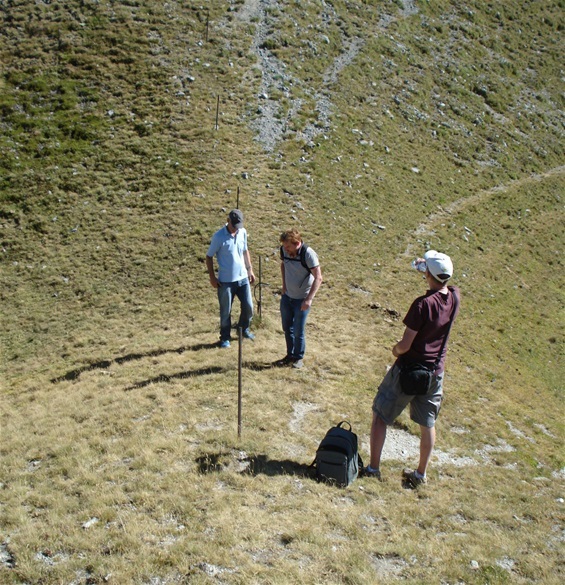 As a bonus, the website includes photos of two former European tripoint areas and a former European quadripoint .